Another below zero night in Downtown Ottawa, so I wanted something to warm the stomach and not a great distance from the Hotel. 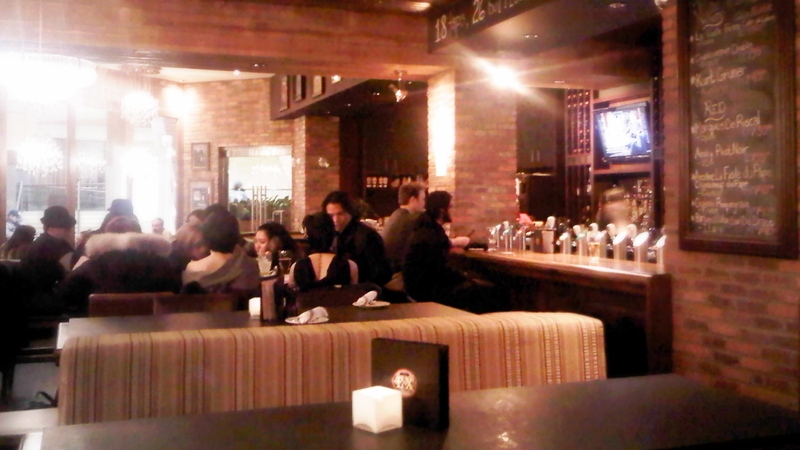 Scurrying through Rideau Centre, the EXchange Pub looked quite cozy from an outside view. Although I must admit I was a bit mislead by the outer appearance, which looks more “up-scale”. However, when you enter you realize that the Pub is very casual; filled with wooden stools and sleek couches, completely did not reflect what was assumed from it’s exterior. Nevertheless, it was close by and the modern atmosphere was enjoyable with a 20-30s crowd. 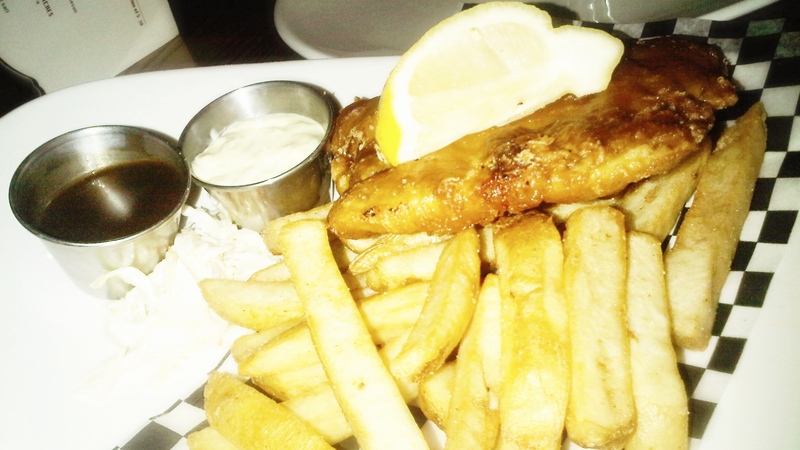 In general, they offered a standard variety of English Pub food with a few outliers served by a friendly staff. Craved some deep-fried goodness! 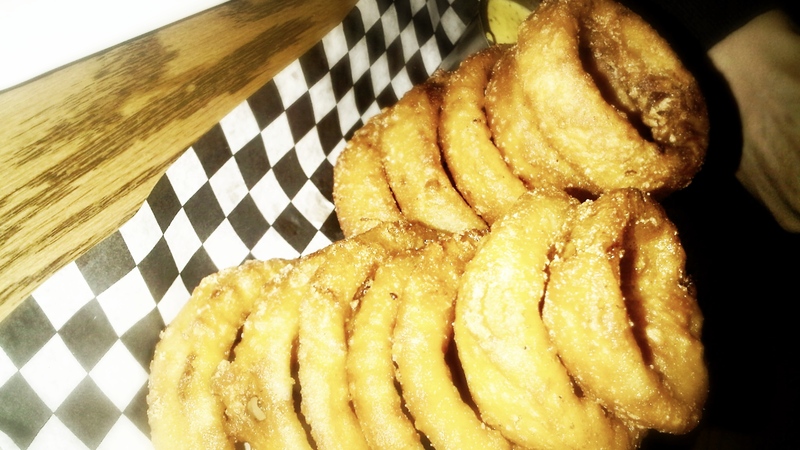 The Onion Rings where crisp and not over-battered. I really hate it when you bit into an onion ring and the onion is just a thing string under a thick batter. Luckily, the onions were fresh and easy to bite apart so I didn’t have to awkwardly try to tear away from the ring and drag the onion out through the battered tube. Especially excellent with their London Pride Mustard or ketchup! This was an outlier, obviously, Bruschetta is definitely not a usual pub bite. In comparison with other Bruschetta I’ve tried, this was not a favorite. 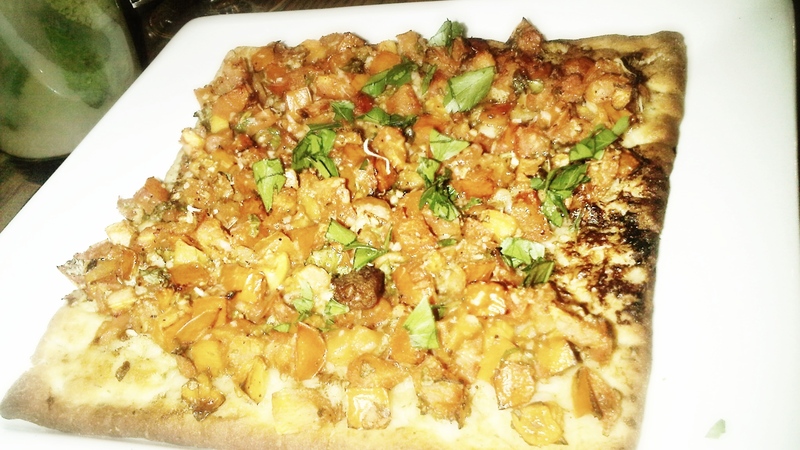 I didn’t taste too much flavor except for the overload of tomatoes which moistened the overly dry piece of flatbread. It felt more like eating tomatoes on top of a cracker (I’m not sure if that was they were going for?). They may have thought it brought out an extra crunch, but actually the flatbread was simply unpleasant. First of all, I surprisingly really liked the fries! I’m not sure if every likes this texture of fry, as it goes back to the McDonalds Fries-Debate between “Crisp Fry vs. Soggy Fry”. These fries are a bit crisp and when you bit into it had that Soggy fry texture, which I enjoyed. Not too heavily salted and was a solid batch of fries to accompany a more greasy battered Cod. Although the batter covering the fishmeat was a light layer, it seemed to have absorbed a lot of grease (giving you a gross after feeling). Fortunately, the addition of tartar sauce definitely neutralized the greasy feeling, but for really couldn’t finish this oily basket. 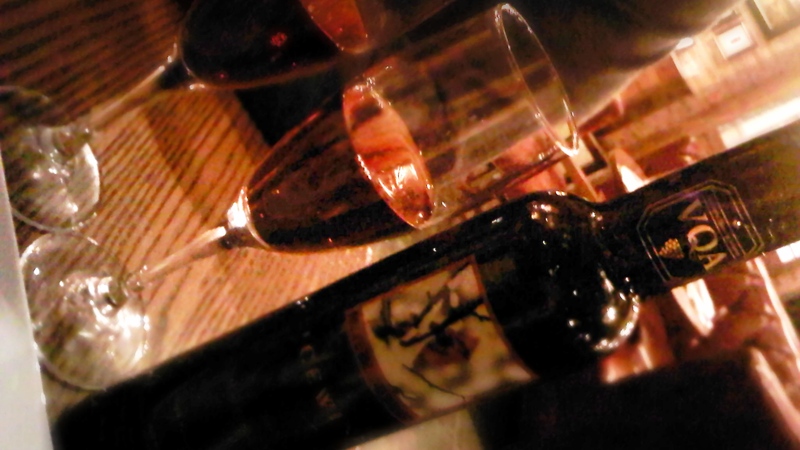 A waiting my dessert I pop open a bottle of Ice Wine. I actually haven’t had ice wine in awhile, but I thought I would like it. Sadly, I couldn’t even finish a glass because I was revolted by the taste. I think I’ll stick to my cocktails and white wines from now on;). I love variety, so of course I went for the Dessert Platter. 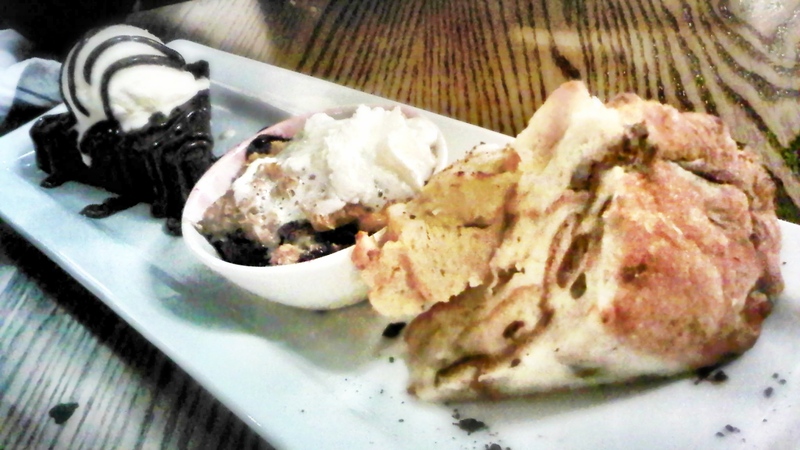 This trio featured a Caramel Chocolate Brownie, Apple Crumble and Bread Pudding. I hate wasting food, but these were massive portions and I guess I’m not a big fan of bread pudding. The Bread Pudding was had a very dense texture and not much interesting flavour, simply extremely sweet and doughy. The Apple Crumble was fine in small portions, but I wouldn’t finish the whole thing. The fruit filling to crumb ratio was not pleasing because there wasn’t enough crumb. I enjoy a good apple filling, but eating spoonfuls of filling straight is just too much of a good thing? The Caramel Chocolate Brownie was my favorite, finished every last bite of this. There was a thick fudge-like texture to the brownie under a generous Chocolate drizzle. This may seem overly sweet, but the warmth of the brownie in combination with the cool Vanilla Ice Cream was perfection. Reminded me of a lava cake and I just adore that hot/cold feeling. If you just want a chill place to have drinks, you may want to stop by The Ex. However, I think I’d pass on another visit because there is simply nothing that really excited the tastes buds. Not to mention, the menu is quite overpriced for pub grub! Dine at your own Risk (and your wallet’s;)). Passionate Marketing Student From Vancouver Enveloped by Creativity and Endless Drive to Succeed. Loves a Good Challenge and Trying New Things!